How to Monitor Snapchat on iPhone the Right Way? Are you a concerned parent whose kids are getting more possessed with Snapchat on their iPhones and would not share anything with you? Are you an employer who thinks your employees are misusing the company-owned iPhones and using Snapchat during office hours? 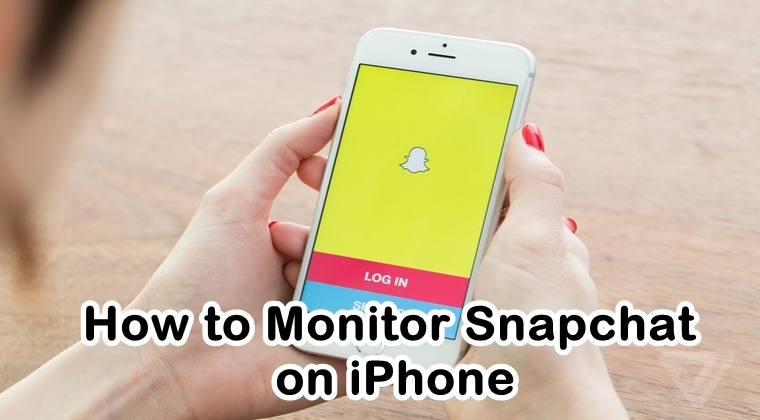 We would urge you to stop getting worried all day along and start using a monitoring solution that would tell you how to monitor Snapchat on iPhone. While there are many Snapchat monitoring solutions available on the internet but the majority of them are absolutely bogus. People look up for Snapchat monitoring for their iPhone devices but end up getting the fake Snapchat hack solution. A genuine Snapchat monitoring tool will help you monitor someone's Snapchat on iPhone without wasting your time and effort. While there are several iPhone spy tools that you may come across online but most of them are inoperative and fail to perform their job. Let's find out how you can hack someone's Snapchat on their iPhone device. One such authentic and genuine Snapchat monitoring tool that can be used to monitor someone's Snapchat on iPhone is Mobistealth. This monitoring tool is the reliable iPhone spy app that you need to spy on someone's Snapchat activity on the iPhone device. Using and operating Mobistealth is really simple and easy and it does not make the process complex for you. All you need to do is register for an account on Mobistealth's official website and then download the monitoring app for the iPhone. As soon as the download is complete, you can install the iPhone spy app on your target's iPhone and then let the spy app do its work. The iPhone spy app will begin recording and logging all the Snapchat activity taking place on the target's iPhone and transport all the data to your online Mobistealth account. On the online dashboard, you can get to remotely spy and monitor your target's Snapchat activity including all the pictures, videos, and text messages they have shared with others on the app. You can remotely spy on their Snapchat activity from anywhere and at any time. Mobistealth is known to be an ultimate iPhone spy app that offers some incredible features for monitoring iPhone activities. The iPhone spy software of this monitoring app has been designed to suit a wide range of needs. The spy technology in the Mobistealth iPhone spy app has used a silent and more refined approach to track and monitor the latest update of your target's current whereabouts by keeping a complete track of location through the mobile phone. Some of the exciting spying features provided by Mobistealth for iPhone are reading text messages and iMessages, tracking call details and location, logging WhatsApp and WeChat conversations, and monitoring Viber, Line and Kik apps. Regardless of you being a concerned parent or a worried employer trying to keep a track of your target's Snapchat activity iPhone, Mobistealth has all the right iPhone spying and monitoring features for you. Another plus side of using Mobistealth to monitor someone's Snapchat on iPhone is that it supports all iPhone models including the latest iPhone X. All the iOS versions up to iOS 11 is supported by this spy app. Therefore, it is possible for you to monitor someone's Snapchat on any iPhone model by using Mobistealth spy app.